The government plans to promote a five-day workweek for construction workers involved in public works projects as part of its work-style reform initiative, informed sources say. Construction workers tend to work more than five days a week because many are under pressure to complete projects faster. Less than 10 percent of construction projects in the country see workers take eight days off over a four-week period, according to the Land, Infrastructure, Transport and Tourism Ministry. In fiscal 2018, which started this month, the ministry plans to pay up to 5 percent more in labor costs for state-managed public works projects in which workers take two days off per week. The extra payment policy is aimed at preventing a dip in construction incomes due to the rise in holidays. The government will also pay up to 4 percent more in construction machine rental costs. The government will contribute more toward land-lease costs for construction offices and also toward construction supervisor personnel payments in fiscal 2017. It plans to encourage other governments to take similar measures. The construction industry faces an urgent need to improve its working environment to attract younger workers because many older workers are set to retire in the near future. Of all skilled construction workers in the country, those between the ages of 15 and 29 account for only 11 percent, compared with 25 percent for those 65 or older. For Prime Minister Shinzo Abe’s government, work-style reform has become a key policy amid continuing reports of karōshi (death by overwork) that have raised calls to improve working environments across Japan. 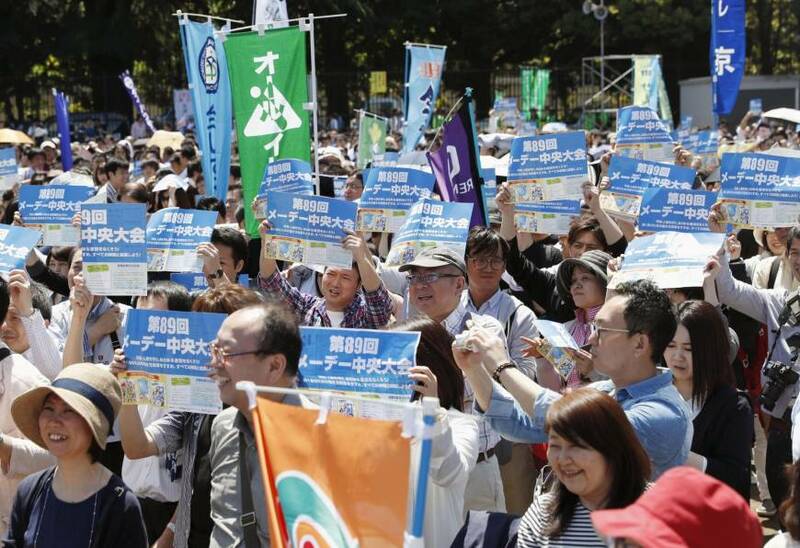 On Saturday, about 40,000 people held a May Day rally in Tokyo calling for work-style reform. 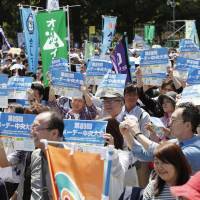 Organized by the Japanese Trade Union Confederation (Rengo), the rally took place a day after the ruling coalition started Diet deliberations on the issue despite a boycott from the opposition camp. 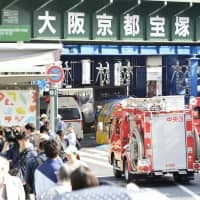 In a speech, Rengo President Rikio Kozu criticized the planned introduction of a system to exempt high-income specialist jobs, such as research and consultant positions, from work hour regulations. 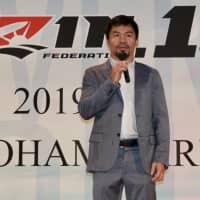 The system planned under the bill “was originally aimed at preventing overwork deaths, but it now includes something totally different,” Kozu said. 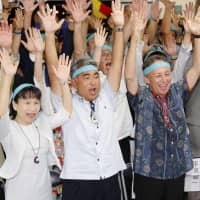 Speaking as a guest, labor minister Katsunobu Kato stressed that the legislation is designed to correct the practice of working long hours and to let workers have flexible and diverse working styles. The government is “pursuing the same goal” as you, Kato said.